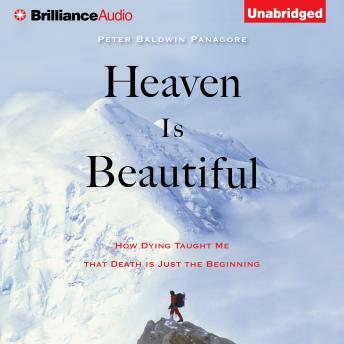 In March of 1980, college senior Peter Panagore went ice climbing on the world-famous Lower Weeping Wall, along the Icefields Parkway in Alberta, Canada. His climbing partner was an experienced ice climber, but Panagore was a novice. On their descent, they became trapped on the side of the mountain. As the sun set, he was overcome by exhaustion and hypothermia. He died on the side of that mountain. And in those minutes on the other side, he experienced hell, forgiveness, and unconditional love. Heaven was beautiful.